Just a few more cakes to go on my list of favorites for 2014! This next cake was for the loveliest of couples, Tara & Sean. Tara instantly fell in love with a cake I had done the year before. 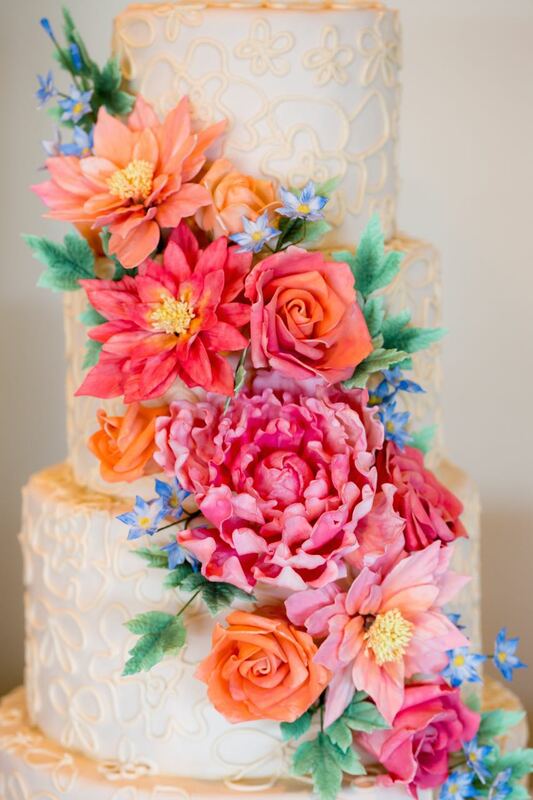 That cake had been created with deep jewel tone florals and richly textured fabrics in mind, for the late fall wedding of photographer, Brea McDonald (Sudol). Tara’s was going to be an early September wedding. 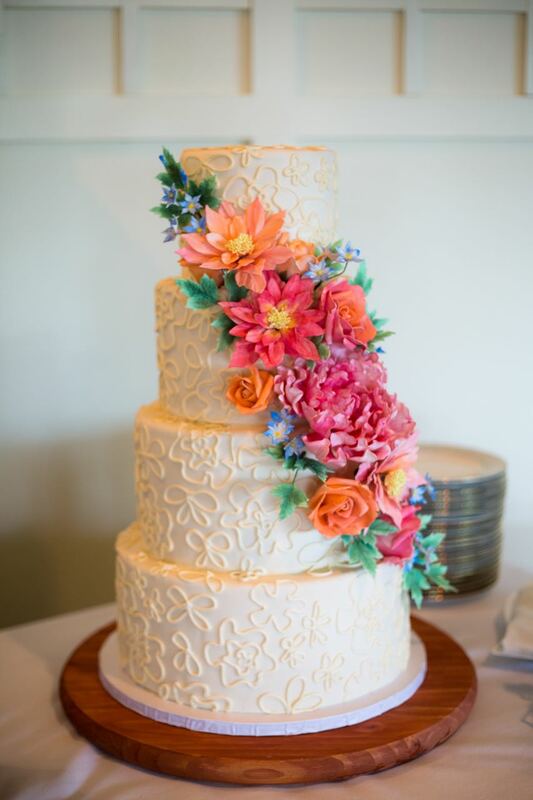 To adapt the design I brightened up the florals, lightened up the cake finish, and gave the cake a little late summer makeover. Tara & Sean were dessert lovers (after my own heart). 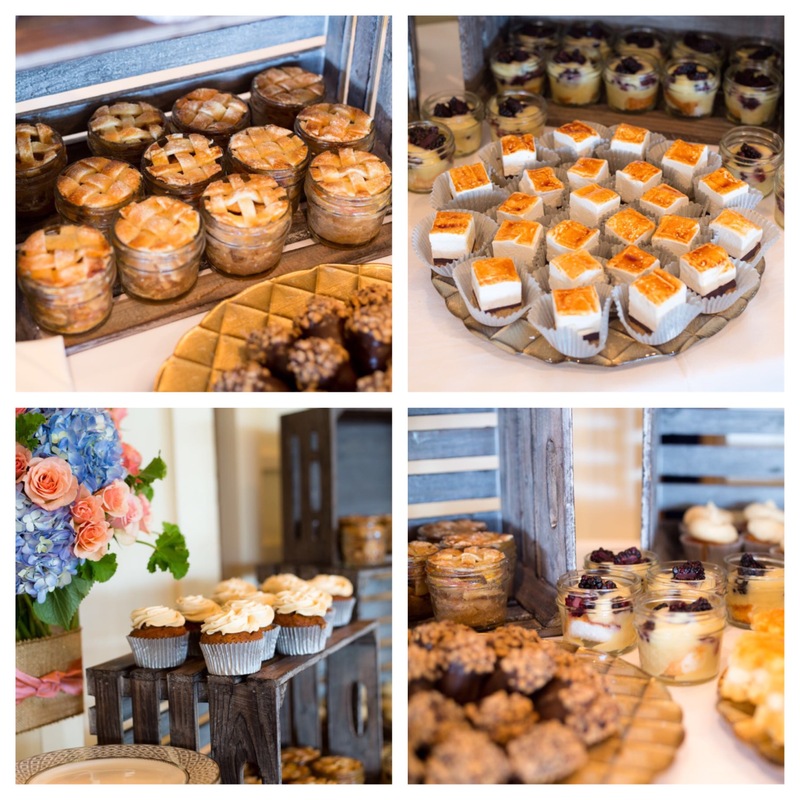 Along with the beautiful 4 tier cake, they had cupcakes, jam jar pies, s’more bites, and toffee acorns. 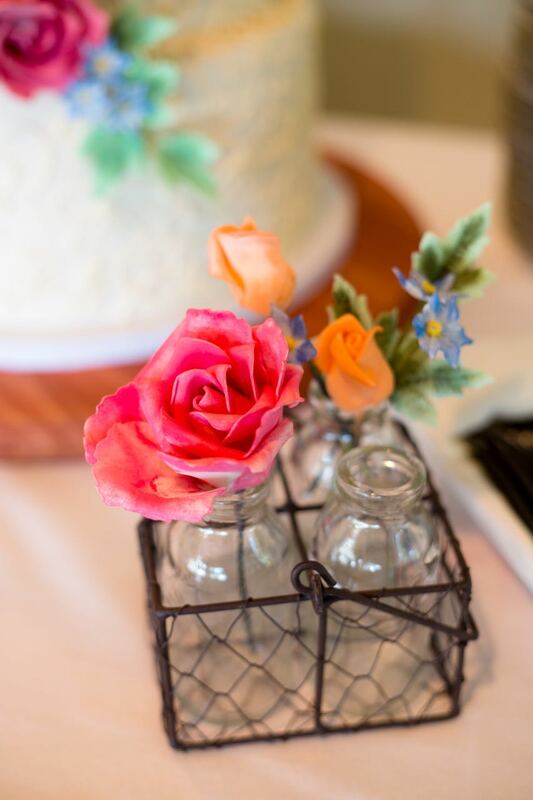 While I was setting up the cake and desserts, I noticed a lonely little basket filled with empty bottles. I just could’t help myself from leaving a few leftover sugar blooms behind. The perfect finishing touch to one of my favorite weddings of the year!